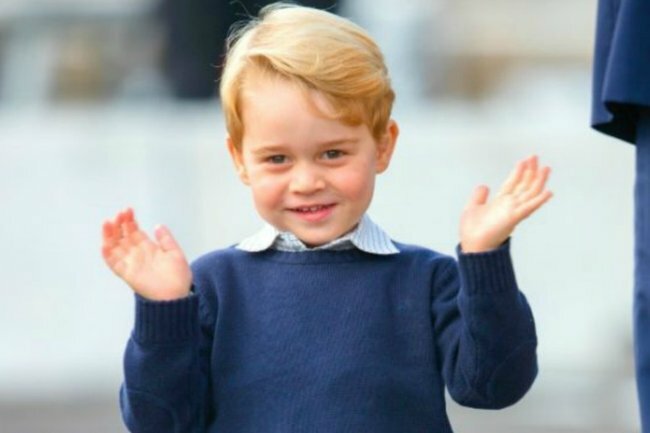 Prince George knows Prince William is "useless" as this one thing. Prince William has shared the one thing Prince George knows he's "useless" at. Up until now, we’ve been pretty convinced there’s nothing the royals aren’t good at. Surely they’ve had special private coaching from the very best in the field at… everything, right? Well, apparently not, and there’s one thing Prince William is actually “useless” at. It’s art, and honestly, we feel him. Some of us, we regret to admit, can’t even draw a circle without it coming out looking… odd. The revelation was made while Prince William and Kate Middleton were visiting a homeless centre in London, The Passage Charity, where they helped make cards and gifts for their upcoming Christmas party. Or in Will’s case, tried not to accidentally glue his hands together and spill paint all over everything. During the visit, William joked about the fact that Prince George knows not to come to him for help with anything “crafty”, according to People. “My son knows I’m useless at this. Catherine is the artsy one,” the Duke of Cambridge said, while chuckling to himself. So what was the difficult art task Will was so “useless at”? ???? Joining @PassageCharity service users for an arts and crafts workshop to prepare cards and gifts ahead of the centre’s Christmas party next week. The Passage has helped over 130,000 people in crisis since its formation in 1980, and runs the largest Resource Centre for homeless people in the UK — today The Duke and Duchess of Cambridge heard from frontline workers about some of the challenges relating to street homelessness, including drug addiction and mental health issues. It doesn’t sound as though Prince George and Princess Charlotte have inherited their father’s clumsy art skills, however. All the times royal kids acted like… actual kids. Post continues after video. During the visit, Kate was also tasked with helping make beaded bracelets, sharing that three-year-old Princess Charlotte “would love making these”. And in a previous interview with BBC Radio 1, the royal couple said the Queen is a big fan of Prince George’s homemade gifts. Admitting that it is “quite hard to know what to give the Queen” at birthdays and Christmas (which we can definitely imagine), William said George and Charlotte will usually whip up some homemade artwork, which “goes down really well”. Can we all take a minute to picture the Queen gleefully accepting a finger-painting or a handprint mold from the littlest royals?